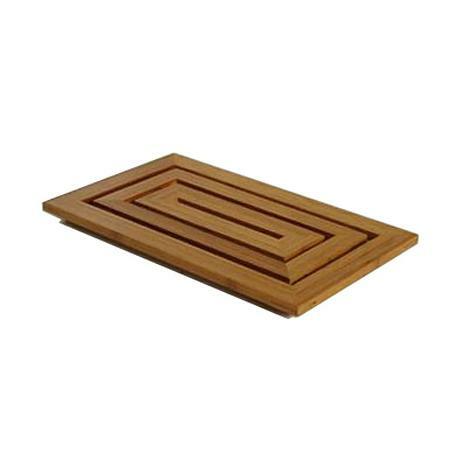 This luxury bamboo duckboard has been manufactured to a high Standard, ideal for use outside the shower/bath. Duckboards help create a non-slip surface to prevent falls. Good quality and looks good. Item arrived exactly as described, very good quality and looks fantastic in my bathroom. Delivery was super quick too. We ordered a duck board for our bathroom online and found everything as described. Delivery was quick and efficient and there is no doubt we would use this service again. A good quality duckboard, finished to a high standard.